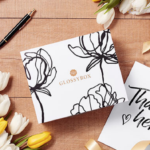 For a limited time, click here and use coupon code GLOSSYFREE to get your first month free when you buy a 3- month GlossyBox subscription! (Regularly $21 a month) This brings the cost down to $13 a box! 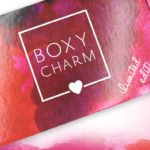 If you sign up now, your first box will be the March GlossyBox. Click here to see the 3 spoilers all subscribers will receive in March. And check out our GlossyBox reviews to see what we got in the March box and past months, too! I haven’t missed my subscription to Glossybox for the most part for a while now. They used to be one of my favorites. It may just be that I already have way too much stuff. These themes are intriguing though. I’ll have to see some product spoilers before I jump back in though. Me too! I haven’t subbed them in awhile. Two cool themes… Looking forward to Spring 2019. Glossybox has made a strong comeback, since their acquisition, a few years ago. I took advantage of the 3 month deal. I hope no makeup means all skincare that month?